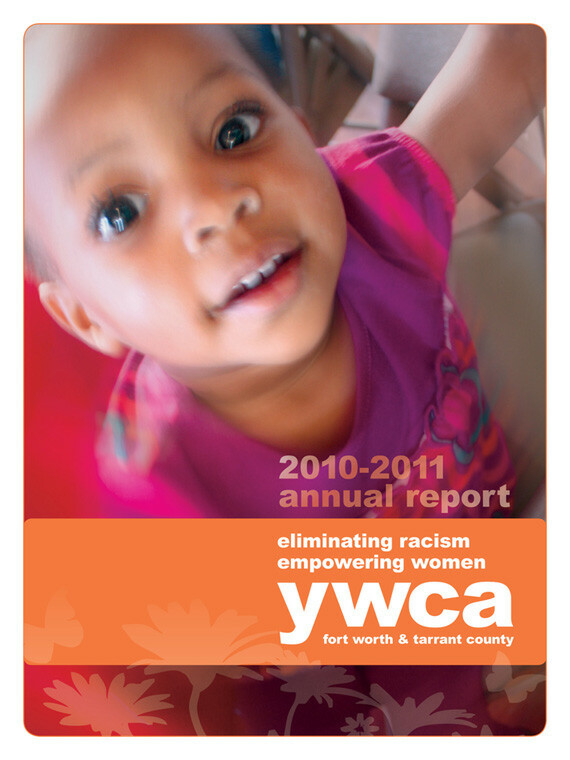 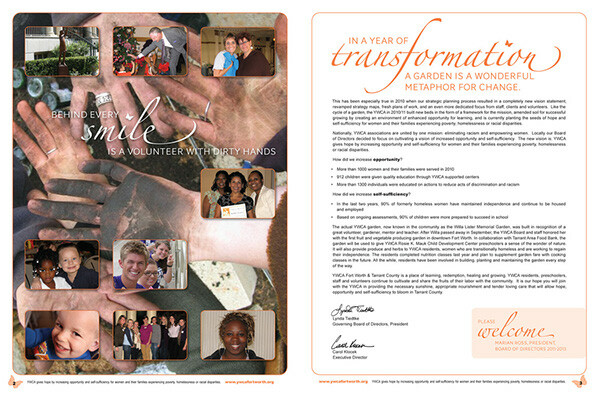 Annual report for YWCA of Fort Worth and Tarrant County. 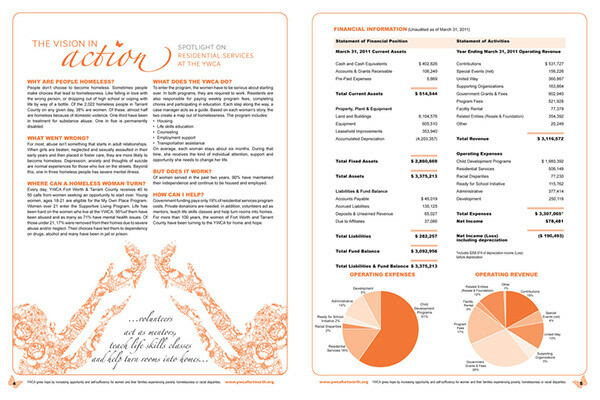 Short run project was run as a "digital broadsheet" on 12x18 page, untrimmed and folded once for a total of twelve 9 x 12 pages. 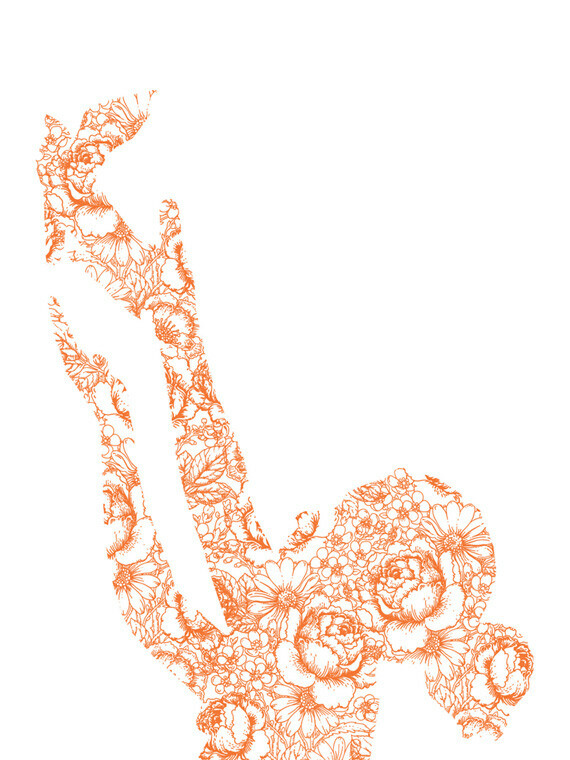 Run on 70# Accent opaque text for a crisp white sheet with good color characteristics at an affordable price point.